Elizabeth grew up in the Midwest and traveled to Australia on a one-year study exchange in high school, an experience that changed her perspective on what she could accomplish. Elizabeth attended college and graduate school in the Southwest, gaining 12 years of student affairs/residential life professional experience at small, mid-size, and large universities along the way. She's passionate about impacting the student experience "outside the classroom" and helping students realize their role as responsible global citizens. As CEA's Director of Health, Safety & Student Affairs, Elizabeth is responsible for overseeing student life issues worldwide and acts as the lead Student Affairs professional in the home office. In this role, Elizabeth establishes and coordinates protocols regarding CEA responses to student emergencies; serves as a point of contact for escalated parent concerns and issues; oversees all web and print materials related to health & safety; advises Center and Program Directors on student disciplinary procedures; reviews student medical information and provides pre-departure assistance to students with health concerns; leads the Health & Safety Team; stays abreast of industry research and organizes training opportunities for staff around the world; and leads cross-functional working groups to review policies and best practices. Overall, Elizabeth is responsible for enhancing the quality of student life through the development and coordination of programs and services that promote student well-being and reflect the organization's values and mission. As International Director of Risk Management, C. Thomas Whitehouse serves as a resource in the handling of routine incidents and case management involving student health and safety issues. He works with CEA staff as well as Resident Directors, students, parents, CEA's emergency assistance company, medical providers, legal advisors and others to monitor important developments and acts as an advisor to the CEA Leadership Team. 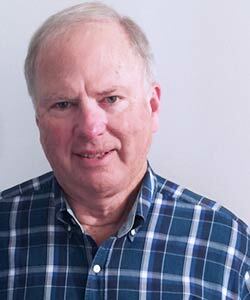 Mr. Whitehouse brings more than 40 years of overall business experience to CEA, with 15 years as a senior executive and risk manager for the American Institute for Foreign Study (AIFS), a large educational/cultural travel company. In 1992, he established Cultural Insurance Services International (CISI), one of the largest and most respected student/cultural travel insurers. He gained his extensive casualty/property insurance knowledge in a series of positions with increasing responsibility at CIGNA Insurance Company and Travelers Insurance Company. In 2005, Mr. Whitehouse established RLC Advisors, a risk management and insurance consulting firm that primarily focused on international travel programs. Mr. Whitehouse holds a Bachelor's degree in Political Science and a MBA. He is actively involved in community service as Vice President on the Board of Directors of Kiwanis Club of Stamford, Conn. He is an active member of the Risk and Insurance Management Society. Born in Texas. Jami Jaimes moved to the great state of Arizona when she was a child. She loves calling Arizona home and being a desert dweller in the Phoenix metropolitan area. A licensed clinician with the state of Arizona who works with individuals, families, and companies to aid in their areas of need, Jami has vast experience providing clinical assessments, brief interventions, crisis interventions, program development, and management. 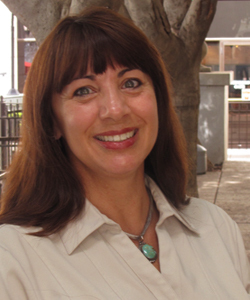 She has worked for many years evaluating the adult and children’s behavioral health systems in Arizona. She provides consultation, coaching, and training to corporations wanting to improve and enhance their work. Jamie is also a private counselor for individuals, all of which she finds exciting and rewarding. She finds all of her different work exciting and rewarding. Jami believes the best way to help people on any level is to listen to their needs and understand what is important to them, either on an individual or professional level. For her, engagement is key in getting to the root of problems and that starts with listening and getting to know people. As a sign of her commitment giving back to the community Jamie sits on a Maricopa County Foster Care Review Board, serving children and families in the child welfare system. Jami is a Masters-level clinician with the state of Arizona. 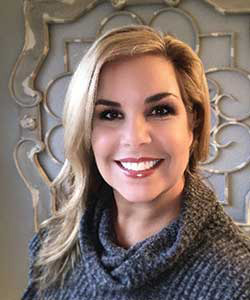 She received her Bachelors’ degree from Arizona State University, her Master’s degree from Northern Arizona University, and is currently a Doctoral Candidate for the Doctorate of Behavioral Health program at Arizona State University.